So often I have tried store-bought wraps that are gluten, egg, dairy and soy free in the hope that ‘this time they’ll be acceptable’ but every time I have been disappointed as they have been tasteless and they crumble as I’ve tried to wrap them around my dinner. We have had a really long, hot summer and I have been really hanging out for some salad wraps so I began to experiment and the other night we had a total victory!! 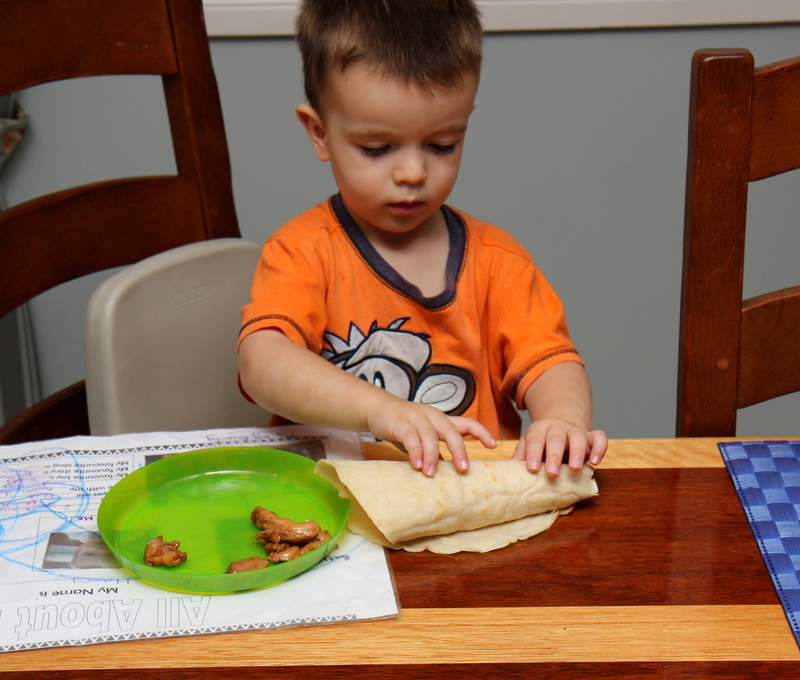 These wraps are a bit time-consuming to make, but they were worth it; soft and flexible and yummy. Add the oil. Then slowly add small amount of water at a time. Take time to combine with a wooden spoon after each addition. 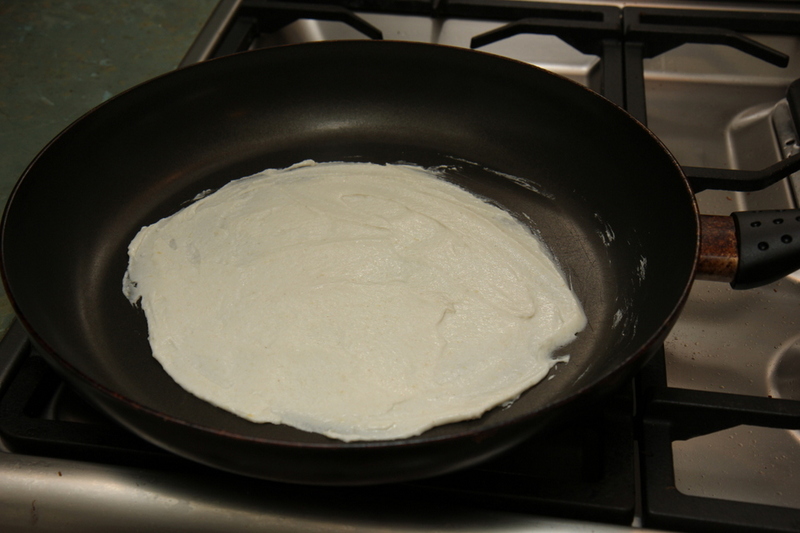 Stop adding water when the batter is smooth and glossy, with a consistency a bit like a thick pancake. Add a heaped wooden spoon full of mixture to a cold frying pan then use a spatula to spread it out so that there is a thin layer covering the base of the pan. Don’t grease the pan – the oil in the batter is sufficient. Turn stove on to high heat and place the pan on the element. Cook for about 2 minutes – turn when the mixture is firm and bubbles/puffs a little. Cook for another 2 minutes on this side. Place on a plate and cover with tea towel. Stack each wrap on top and keep covered. The steam softens the wraps and makes them nice and pliable. Cool off the pan in between each wrap by running cold water over the back of it. This stops the mix cooking straight away and allows you to spread it more evenly. 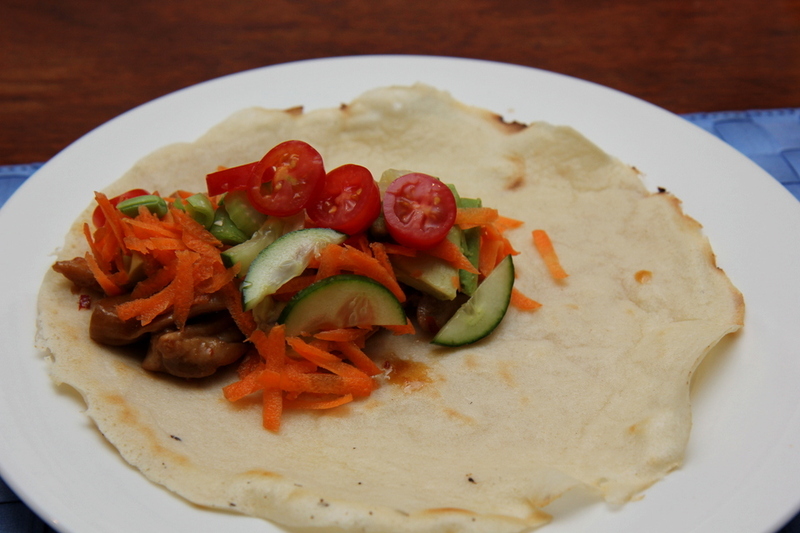 We served ours with ginger chilli chicken and salad. Mix the chicken with the aminos and allow to sit for about half an hour. Heat oil and add ginger and chilli, cook stirring for 2 minutes. Then add chicken, stirring occasionally until cooked. 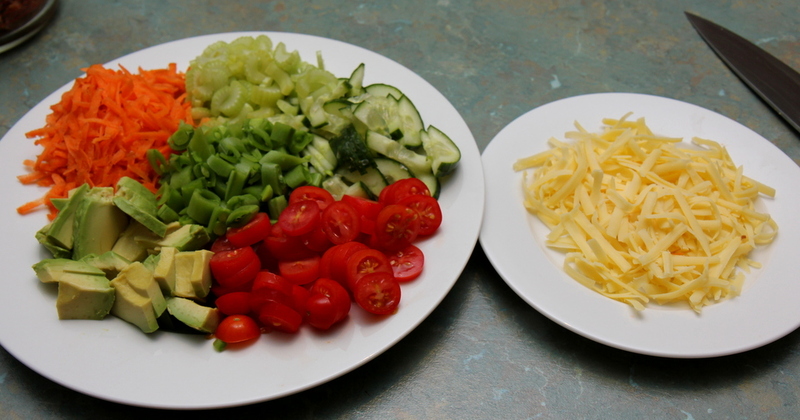 Lay the fillings in the top, centre of the wrap and top with fresh crunchy salad. (It’s best if you roll over one side, then fold up the bottom then wrap the second side over the top). I think I will make this again when we next have a curry, but I will make it smaller and a bit thicker then top with my home-made garlic butter, for a naan type bread – mmm!